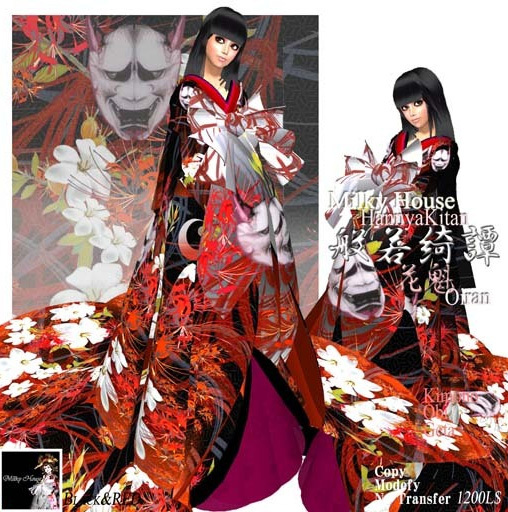 Milky House which specialize in Kimono is now 5 years in business and they are having a crazy promotion of 50% off store wide (except those already in the discount section, which is already 50% off). Kitty was so totally taken by the offer that she decided that it is time to top up her credit and without a second thought, she bought the Kimono above for 600L$ instead of 1200L$!!! Well, she will be showcasing it soon in another post.